In no other institution is the oeuvre of this major 20th-century master so fully represented: the Centre boasts some 4,000 oils, watercolours and drawings by Klee. The main body of the collection consists of works from the Paul Klee Foundation, memorial exhibits and documents from the artist's personal archive, as well as a number of paintings from various private collections. The permanent display includes around 200 works, which serve broadly to illustrate the artist's development. 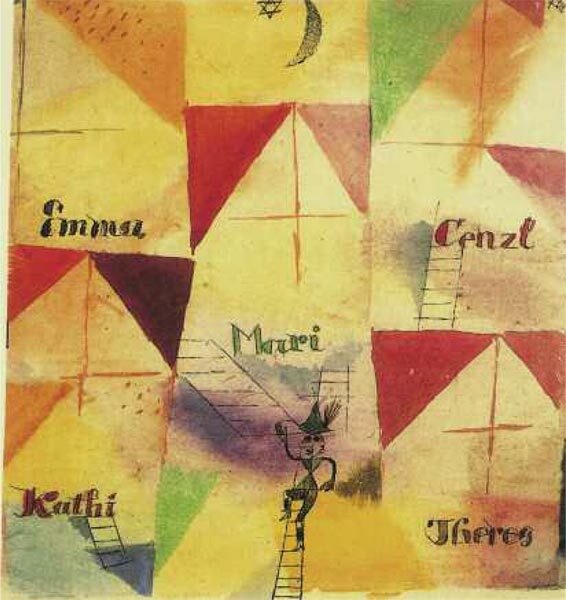 Many of these were created in or around Bern, where Klee lived as a young man. 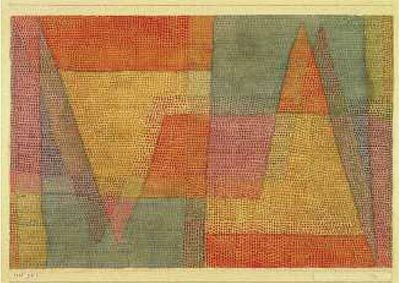 Having achieved fame as a painter, Paul Klee also distinguished himself in writing, music, teaching and philosophy. Hence, the multifunctional nature of the new Centre, which is more than a museum: the Zentrum Paul Klee could well be called a platform for the arts, where each visitor, regardless of age, social and cultural background, can take part in the process of creating a work of art. Born into a musicians' family in Bern, Paul Klee (1879-1940) developed an early passion for music and was, for some time, undecided as to his own future path in life. Finally choosing painting over music, the young man moved to Munich to study, where meetings with Vasily Kandinsky and Franz Marc served to seal his fate. After taking part in the second "Blue Rider" exhibition, in 1920 Klee began to teach at the Bauhaus. In 1933, however, Adolf Hitler came to power. 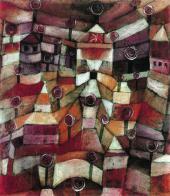 Under no illusion as to the bleak future of Germany, Klee held no hopes of finding favour with the new regime. The Germans having labelled him a "mad Jew", the artist moved back to Switzerland with his family. His return was hardly a triumphant one. 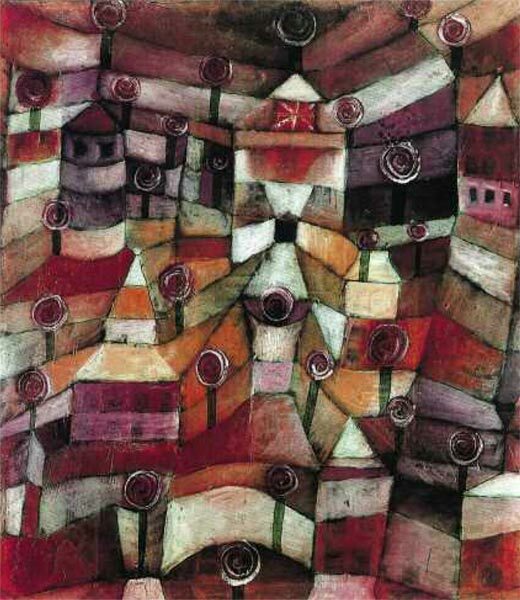 The papers claimed Klee was no longer at all Swiss, insisting he was now saturated with German spirit. Shortly after his return to Bern, he fell seriously ill. 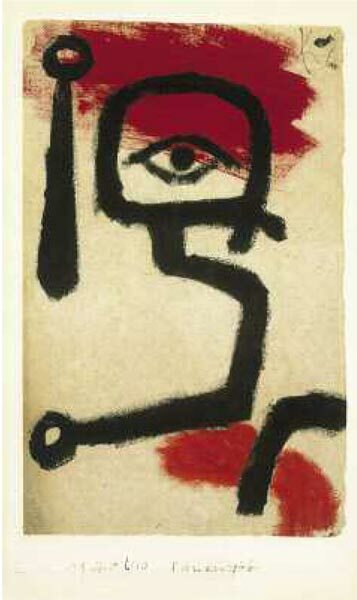 The mobility in his hands was severely impaired, yet Klee continued to work with a vigour which would have been astounding even in a healthy man. 2005 saw the opening of the first exhibition in the Zentrum Paul Klee. Shedding much light on Klee's disease (scleroderma), this event was interesting not only from an artistic, but also from a medical point of view. Visitors gained an insight into the complex reality of a man unable to lead an active way of life, yet determined to carry on creating works of art. Exhibits included tables with various devices and mechanisms enabling visitors to experience the artist's sensations for themselves. 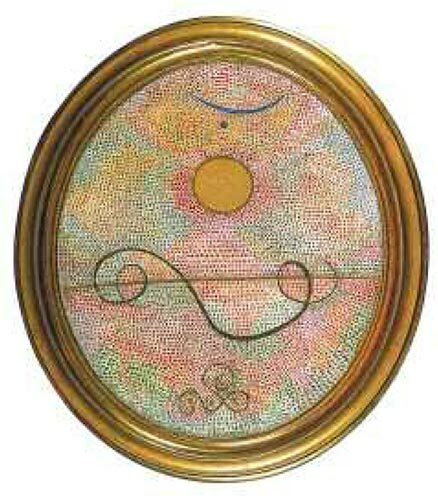 One of Klee's drawings from 1938 bears the inscription "Nulla dies sine linea" ("Not a day without a line drawn"). This is a quote from Pliny's account of the ancient artist Apelles, who determinedly practised his skill every single day: towards the end of his life, despite his ailing condition Klee made a point of doing the same. The second exhibition held in the Centre -"Paul Klee: Not a Day without a Line" -focused on the painter's late works from 1938-1939. April 2006 saw the opening of a new exhibition centring on the oeuvre of Max Beckmann, one of Klee's most important artist contemporaries. Despite the differences in style and imagery between the two painters, they were united in their love of theatre, music, variety entertainment, myths, masks and psychology. The following exhibition, in the summer of 2006, was a contemporary art event dedicated to aspects of balance and equilibrium in space - an area of much interest to Paul Klee. These fascinating and diverse exhibitions helped to showcase Klee's art in its relationship to that of his contemporaries and 21st-century artists, enabling a kind of creative dialogue in time. 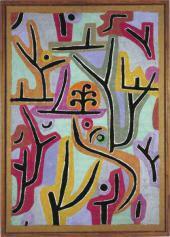 Klee was not much celebrated as an artist by his fellow countrymen during his lifetime. 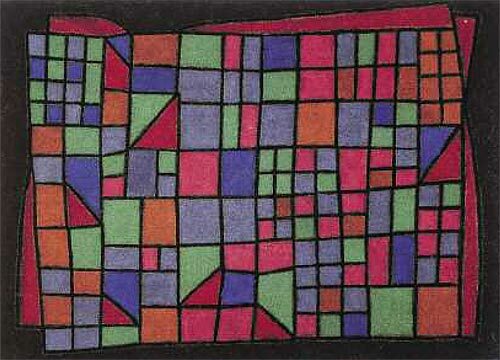 His grandson Alexander Klee called the opening of the Paul Klee Centre in 2005 a "late tribute". Albeit late, the tribute, however, was a generous one: the unique museum cost 1 10 billion francs to create. The money for the project was generously donated by the family of Dr. Maurice Miiller, a great admirer of Klee, by the inhabitants of Bern and private entrepreneurs. The museum building itself was designed by the Italian architect Renzo Piano. Born in 1937, Piano is the creator of world-famous structures such as the Pompidou Centre in Paris, High Museum of Art, Atlanta, and new wing of the Art Institute of Chicago. Piano's plans for the Zentrum Paul Klee aroused heated discussion. Many felt that the eye-catching structure would steal too much attention, arguing that the purpose of a museum building is to help the public relate to the exhibits inside. The architect, however, insisted that the building itself was a sculpture, created with respect for the artist and his work. Piano called his project the "spirit of the sculptor", attempting to capture something of Klee's bond with the place, his country and people. The outlines of this unique Centre indeed call to mind a hilly landscape. Blending harmoniously with the foothills of the Alps, it undulates gracefully, rising up in three waves of metal and glass, falling below the earth. Its height and the width of its bays change constantly as it shifts its angle of incline. Much of the building is below ground level: the lower floors are used for showing works which cannot take much light. Carved with special equipment with the aid of computers, the main supporting construction of steel ribs is hand-welded, requiring almost 25 miles of welding in total! Computer simulation allowed the team to overcome the many difficulties caused by the shifting curves, strong arch thrust and sheer size of the structure. The first and largest "wave", or hill, of this marvellous building contains an entrance hall, lecture room and education centre. The second houses the permanent and temporary exhibition rooms, whilst the third, and smallest, hill is home to a research centre and staff offices. The light, airy exhibition space with curved roof can be divided into any number of rooms of different shape and size using easily movable partitions. The inhabitants of Bern have succeeded not only in preserving Klee's artistic legacy, but also in maintaining a high level of public interest in his work. Aware of Klee's interest in music and children's art, the creators of the Centre were careful to include these areas in the museum's activities. The children's museum Creaviva offers interactive programmes for young visitors and their parents. Children can go on a special tour of the museum accompanied by a young guide, with no adults allowed: needless to say, these tours are especially popular with the museum's young visitors! Among the educational events, children often favour the special sessions on signs and symbols in Klee's art. The museum also publishes a children's art magazine, "Creaviva". 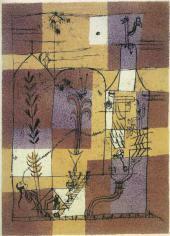 The main aim of the education centre is to spark creative processes among its visitors using Klee's works and ideas. The 300-person concert hall is the venue for regular drama and choreographic events accompanied by the museum's musical Klee Ensemble. The infrastructure of the Klee Centre would be incomplete without another interesting and original feature - the museum "street" which links the three parts of the building. Strolling down this street, visitors can access the information centre and museum shop or simply relax in the cafe. The special computers lining the street are full of information on the museum and its exhibitions, as well as the art of Paul Klee and the cultural and educational programmes run by the Centre. This wonderful museum is not the only tribute paid by the inhabitants of Bern to their famous fellow-countryman. Leaving the Klee Centre, visitors can wander through a park filled with sculptures, sit and rest in a leafy birch grove with a splendid view of peaceful lakes and picturesque ancient rocks, or visit the cemetery where Klee is buried. From the museum one may follow a number of special routes into town. 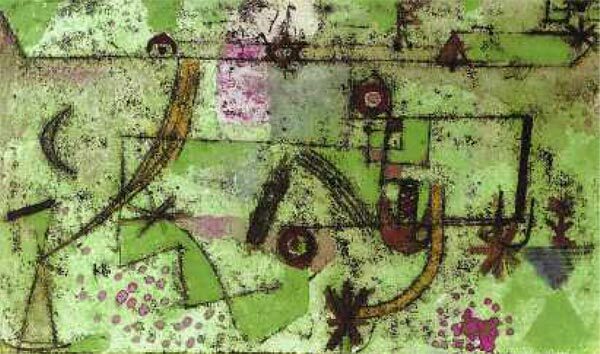 Leading through the park and known as "Klee's paths", these link many interesting marked spots where the artist himself often lingered. Klee's spirit indeed pervades this tranquil landscape: the creators of the Klee Centre succeeded in building a unique space, where art and artist continue to bring joy to, and inspire those who come here.